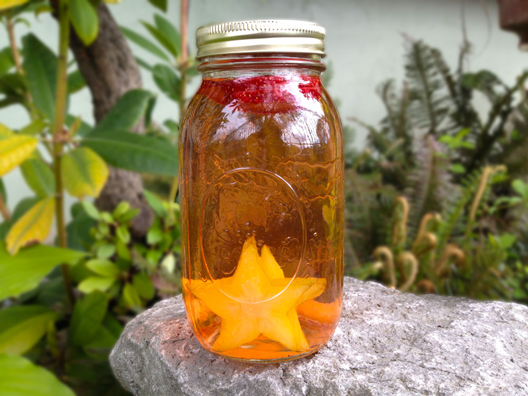 Starfruit is a fantastically fun fruit to add to any infused water recipe. Not only is it a powerhouse of Vitamin C and A, but starfruit is also easy to work with and does not require any peeling. Simply slice and you’re good to go! The taste of starfruit is very unique – mild, sweet, and tangy all at once. When shopping for a ripe starfruit, look for yellow to orange flesh (not green). Recipe for a 32-ounce Ball jar: 1 organic strawberry, sliced + 3 slices of starfruit. Add purified water and let chill for 4 to 24 hours. 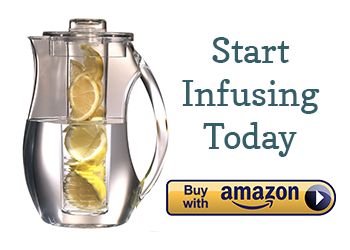 Warning: if you walk down the street drinking this infused water, people will stop and ask you about it! I can’t wait to try the star fruit and strawberry infused water for Easter. I have been using apple & cinnamon and really like it, but was look looking for something a little more spring-ish. I make it in a big three gallon water dispenser for larger groups. Perfect alternative to juice or soda!